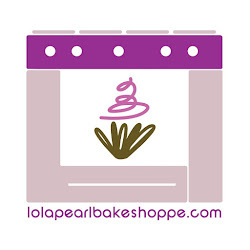 Lola Pearl Bake Shoppe: DIY RECIPE: Cookies for your Valentine! Valentine's Day is next week. Why not help cupid and bake your sweetie (or sweeties) some treats? Try this super delicious and addicting cookie recipe. It involves a couple extra steps, but it is definitely worth it! Your most important decision with this one is your choice of jelly. I chose strawberry, and already have eaten 3 this afternoon! Ideally, to make these linzer-like cookies, you would use a linzer cookie cutter with the mini heart insert. However, you can definitely use 2 small round cookie cutters (or a frosting tip works perfectly). **when alternating wet and dry, end with dry! Chill dough for about 4 hours or overnight in the refrigerator. Cut out cookies with the bigger round cutter. Split the cut-outs evenly onto two baking sheets. Using the smaller cookie cutter, cut a hole into half of the batch. Top the whole cookies with jelly and cover with it's pair. Add powdered sugar if it tickles your fancy! Nicely done, these are some very nice looking cookies that any Valentine would love to receive. To the kichen I go, I must bake some cookies, thanks. I love the shape of these cookies, very cute :) I hope you (and those whom you baked these cookies for?) had a good Valentine's Day!